Home Editorial Cut Out This Mandela Hypocrisy! AFRICANGLOBE- “OH, please!” This could well be anybody’s reaction on the news last week that a biopic of the former South African president Nelson Mandela would be specially screened for the consumption of US President Barrack Obama at the White House. Indeed, the screening went on at the presidential residence with main actor Idris Elba, co-star Naomie Harris and two of Mandela’s daughters, Zindzi and Zenani, in attendance. This is just one of the things that could make a body puke because of the hypocrisy and irony of the whole show that Mandela has been subjected to over the last 20 or so years. First, on symbolic level and ideological perspectives Obama is nowhere near Mandela if we assume that Mandela is the symbol of non-violence and peace. Obama, since he came to power close to a decade ago, has been preaching war and shamefully defended the same when he was being presented with a Nobel Peace Prize – Mandela’s prize. Since then, he has made the world a worse place (even than his predecessor George W. Bush, whom we all thought was a devil incarnate) by pursuing war and has even employed destructive, remote-controlled killing machines called drones. Authorities note that since Obama took office he has made more than 300 drone strikes in Pakistan targeting al-Qaeda or the Taliban, outnumbering the Bush administration’s drone strikes five to one. These strikes all too often kill too many civilians and represent extra judicial killings. They can even be used for American citizens. So in all honesty, if Mandela were to represent a Dove as a symbol of peace, Obama would represent something circa an Angel of Destruction. There is no strong relationship there. This is why many people consider his being Nobel decorated a scandal at best. Personally, Obama and Mandela have had no real relationship with the two having met only once and Obama when he visited South Africa last June failed to see Mandela because of the latter’s ill health. It has to be demonstrated further that there is no relationship between Mandela and Obama, let alone a strong one, save for the idealisation by the former of Mandela chiefly for Mandela’s political correctness as a model of a “good” African leader. That is, a leader who does not pursue corrective justice for his people that had wallowed under colonialism and subjugation and exclusion. He is a leader that left intact a system that he had set out to dismantle and for which he had been persecuted and jailed for 27 years. Suffice to say, a Mandela who seemingly felt contented to leave the most unequal society in the world which he had promised to undo. Hence, the assertion by his ex-wife Winnie to the effect that the Mandela that went to prison was different from the one that walked free on February 11, 1990. So Africans that admire and hold dear the fighter and liberator that was in Mandela before his reverse Damascene moment (if one goes by Winnie’s account) know that there is fakeness in the other symbol with which the likes of Obama pretend or aspire to have a special relationship. Shamed by the double standard (specifically the discovery of it) US Secretary of State Condoleezza Rice urged lawmakers to make sure the legislation was passed to remove Nelson Mandela and ANC’s leaders from any US databases that list them as terrorists. Mandela may have been struck of the shameful list but it will be recorded that his fundamental principles – those that got him onto the list in the first place – are still being sanctioned. Just recently former ANC chairman Tokyo Sexwale was detained at a US airport for appearing on the list. In 2002, Sexwale was denied a visa again. In 2007, Barbara Masekela, South Africa’s ambassador to the United States from 2002 to 2006, was denied a visa to visit her ailing cousin and didn’t get a waiver until after the cousin had died. It would be only symbolic to say that it was Mandela being persecuted for fighting white apartheid on these occasions. 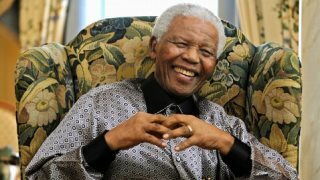 The recent harassment of Mr Sexwale was a harassment of Nelson Mandela. Jackson Mthembu, ANC spokesperson put in an interesting question to the debacle. The real Mandelas of the African struggle have no relationship with the Obama’s of this world. So, please, cut out this hypocrisy!